Though 2019 has arrived, it is not my pleasure to announce that 148 law enforcement officers lost their lives in the line of duty in 2018. Sadly, that is nine more than in 2017 but 14 less than in 2016. I must add that we also lost 27 K9s in 2018. Let’s hope for a much smaller number in 2019 (zero would be best). A: The simplest answer here is to tell you that citations are done with officer discretion in mind. I’m sure you’ve seen one officer issue a warning on violations that another cites for. These citations can also be given to infinity and beyond until the issue is taken care of or taken off the road. There is nothing in Idaho law that says officers have to give warnings. There are some exceptions to that but they are mainly farming issue warnings. You did not say how long it was from the fix-it citation and the citation-citation. It could be that it appeared to the officer who wrote the citation that you were weren’t going to fix the truck. Many agencies have gone away from writing warning citations because of non-compliance. Law officers at the police department I work for figured that many drivers weren’t making the necessary repairs when warned, so starting issuing more citations. Some officers, as I said, will allow dismissal if the issue is fixed and some don’t. Once again, that is up to the discretion of the officer. Finally, I will add that going to the police chief or sheriff to get a citation dismissed is not an option. Police chiefs and sheriffs are not allowed, by law, to dismiss tickets. So either get the truck fixed or expect more citations that could eventually cost more than just getting the truck fixed. Happy to report that so far in 2019 there are no officers to report killed in the line of duty. let’s pray it continues. 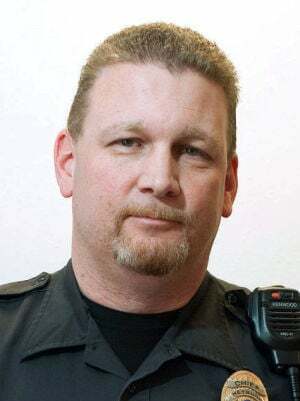 Dan Bristol is the City of Heyburn Chief of Police.